KISS members Paul Stanley and Gene Simmons recently announced that the pair are joining forces in the Rock & Brews restaurant chain as the company prepares for worldwide expansion. 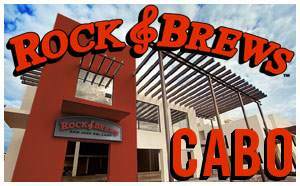 On Tuesday, Stanley and Simmons stopped by KCAL9 to discuss this weekend’s grand opening of Rock & Brews in San Jose del Cabo, Mexico, the second location for the emerging brand. The grand opening of Rock & Brews Los Cabos will welcome about 400 KISS fans from around the world, along with music industry notables and local VIPs.